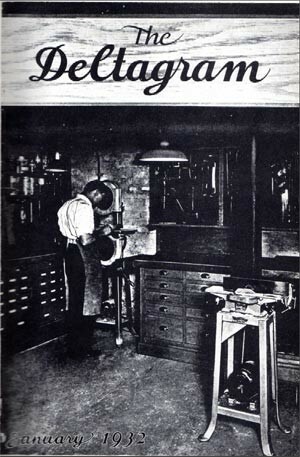 The first Deltagram issue came out in January 1932 and the magazine went through a couple of name changes as it made its way to the final publication in November 1972. The Deltagram managed to survive World War II, but instead of trying to sell you new tools, the magazine focused on the war effort by asking subscribers to buy war bonds. 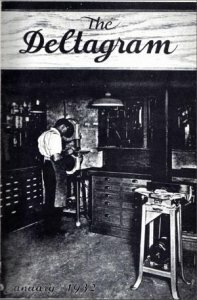 Articles in the magazine included tool setup tips, building techniques, woodworking plans, and user project galleries. The Deltagrams are being reissued by ThisOldWorkshop.com with the cooperation of the new Delta Power Equipment. This Old Workshop has already released the very first issue as well as the very last issue and will continue to release two issues a month. If you are interested in old power tools, or if you need to build a new 8-track cassette holder, you might want to give them a read.